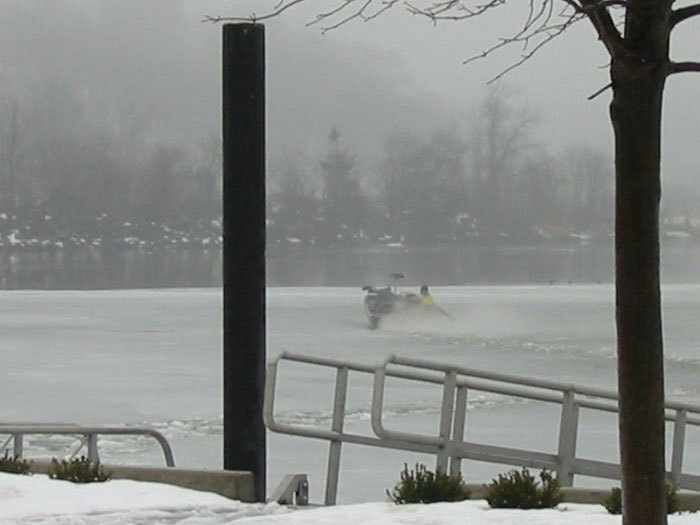 A lone angler drives through the ice with his boat on the Thames River on 2/23/03. Paula models a ctfisherman.com shirt. Another picture of Paula, our latest ctfisherman.com model. Posted on 3/9/03. 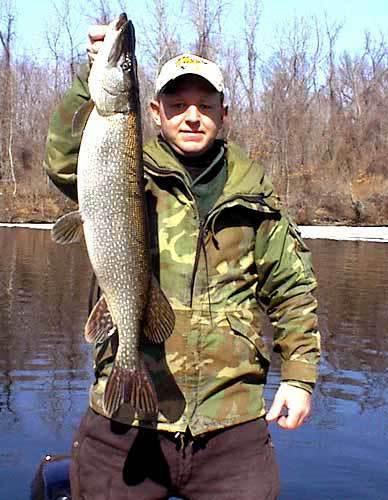 Blaine A. with a pike caught on the CT River on 3/16/03. Report. 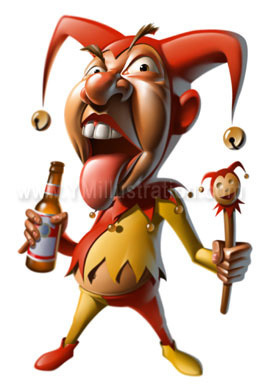 The April Fool's message posted from 12:00 a.m. - 2:00 p.m.
Joe with a 6-lb., 10-oz. 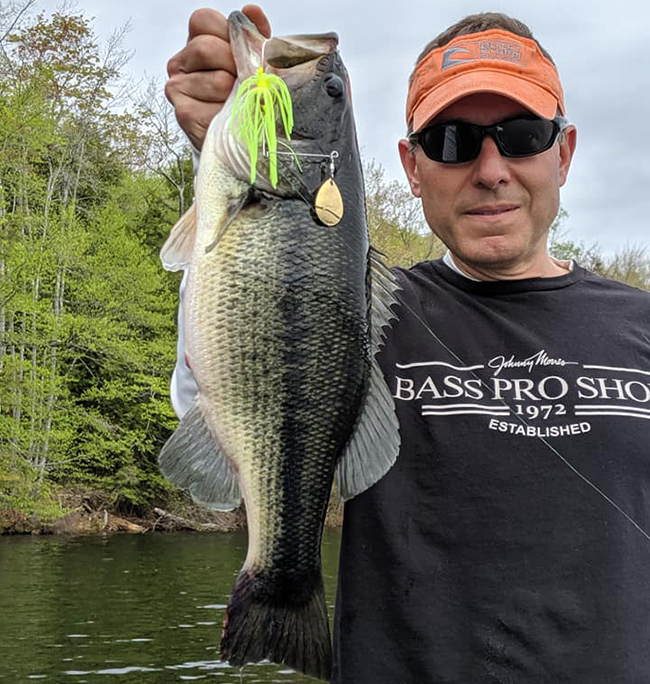 largemouth caught at a MA pond on 3/22. Pfc. 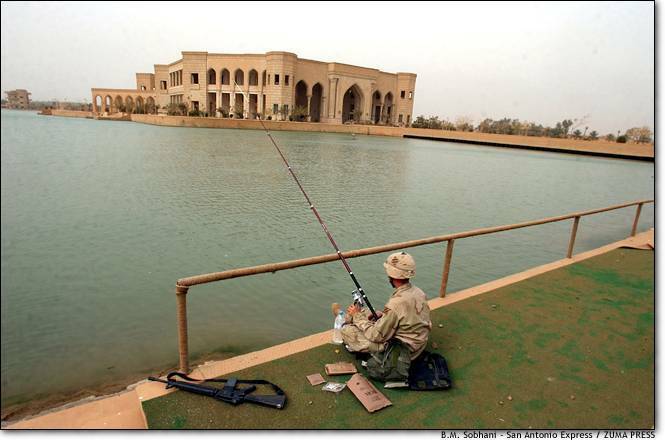 Mark Bennett drops a line in the lake surrounding one of Saddam Hussein's palaces in western Baghdad. Photo discussion, including a reply from the photographer. 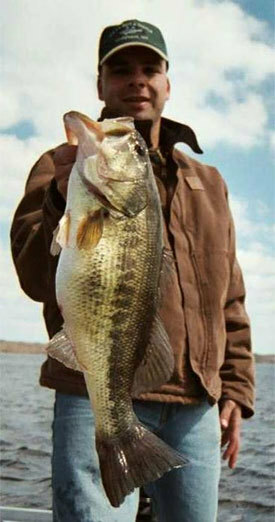 Jimmy with a giant tiger trout he caught at Rainbow Reservoir on 4/21/03. Report. 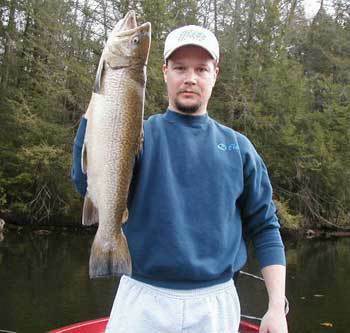 A 6.45-pound brown trout Robert V. caught at the Saugatuck Reservoir on 4/23/03. Report. A 5-pound brown trout Danny Surfcast caught at the Saugatuck Reservoir on 4/23/03. Report. ctfisherman.com members got together for a "Blackfish Bash" on 4/27/03.